The new year political unrest in Iran is not unprecedented. 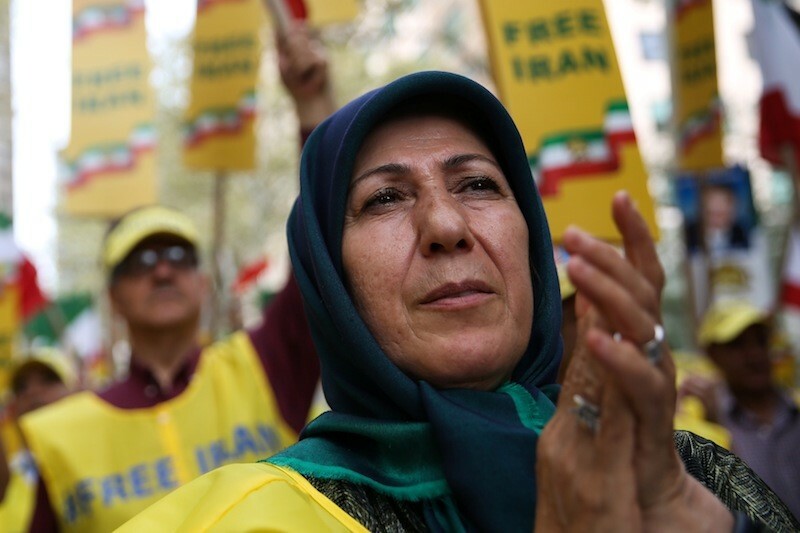 Three times in the last two decades, the Islamic regime has faced mass protests. In July 1999, students took to the streets to demand freedom of speech, while, 10 years later, the Green Movement saw demonstrations against the vote-rigging which accompanied the re-election of the hardline president, Mahmoud Ahmadinejad. The character of the latest protests differs in a number of ways from those which have preceded it. While the protests began in Mashad, Iran’s second biggest city, they appear to have expanded beyond the urban middle-class areas which were at the centre of previous opposition to the regime to smaller, rural and more religious towns which the government has hitherto seen as strongholds. Economic, not political, concerns also initially appeared to drive the demonstrations. The promised economic benefits from the 2015 nuclear deal – which offered a lifting of sanctions in return for the curbing of Iran’s nuclear deal – appear not to have materialised. Between 2007, when the UN ramped up sanctions, and 2016, the average budget of Iranian households is calculated to have declined by 15 percent. Their plight has been further worsened by the austerity measures – energy prices have risen and cash transfers used by the poor to purchase essential items such as bread have been slashed – imposed by President Rouhani in order to bring down inflation. The government suggests unemployment stands at 12 percent but many economists suspect it is much higher, with 40 percent of Iranians estimated to be living in poverty. In a country where the median age is 31, a youth unemployment rate of 25 percent is especially explosive, and helps explain why lower-income young people, not just middle-class students, have participated in the protests. Last month, the president published his 2018 budget which outlined further sharp cuts in subsidies for the poor. It also revealed for the first time the amount of state funding which goes to its military and paramilitary forces, and to wealthy religious foundations (known as the bonyads). Some have speculated that this openness may have been a calculated attempt by the supposedly reformist Rouhani to embarrass his hardline and clerical opponents. The budget showed a big increase to $8bn in funding for the Islamic Revolutionary Guard Corps. In the previous year, spending on the IRGC reportedly by 25 percent; with its $7.4bn budget constituting nearly half of Iran’s $13.5bn annual defence spend. The defence budget also constitutes a sum equal to half of the country’s $7bn deficit. Israeli intelligence services estimate that Iran invests $700m-$1bn annually in Hezbollah, and a further $100m in Hamas and Islamic Jihad in Gaza. The IRGC includes the Quds Force which has responsibility for promoting Iran’s vision of revolutionary Shi’a Islam throughout the region. Its fingerprints are deeply embedded on the Islamic republic’s ambition to establish a Shi’a crescent of influence stretching through Syria, Iraq, Lebanon and Yemen and thus linking Tehran with the Mediterranean. The image of the Quds Force commander, Qassem Suleimani, on the front line of the battles fought by Iran’s proxy armies has underlined the regime’s pride in its expansionist ambitions. While the financial cost of Iran’s wars has been borne by its people, the people of Syria – where nearly 500,000 are estimated to have died and 5 million people have become refugees – have paid an even greater price. But Iran’s ultimate ambition – as its leaders have repeatedly pledged – is to “wipe Israel off the map”. This warning echoes a report released last month by the Washington Institute for Near East Policy which detailed the growing risk of an Israeli-Iran confrontation in Syria. It outlined Iran’s goals in post-Islamic State Syria. These include establishing a long-term military and economic presence in Syria with the formal approval of an ever-more dependent Assad regime; permanently deploying a sizeable proxy army – a “Syrian Hezbollah” – under the command of 1,000-2,000 Iranian military advisers; and building military-industrial facilities in Syria and Lebanon to manufacture highly accurate long-range missiles for Hezbollah. At the same time, Iran has also made clear its commitment to Hamas and Islamic Jihad in Gaza. Last month, both groups proudly boasted of support from the Islamic republic. Hamas said the Rouhani had pledged to “spare no effort in supporting the Palestinian people”, while Islamic Jihad said Soleimani had stressed Iran’s “support for the Palestinian resistance”. Two weeks ago, Israel blamed Iran for supplying mortar shells fired by terrorists from Gaza at southern Israel.